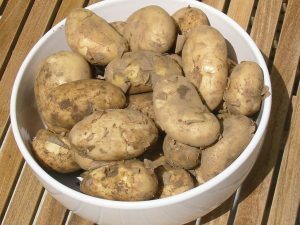 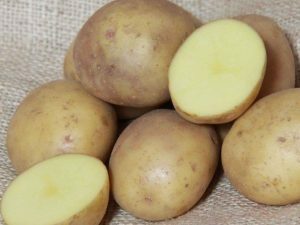 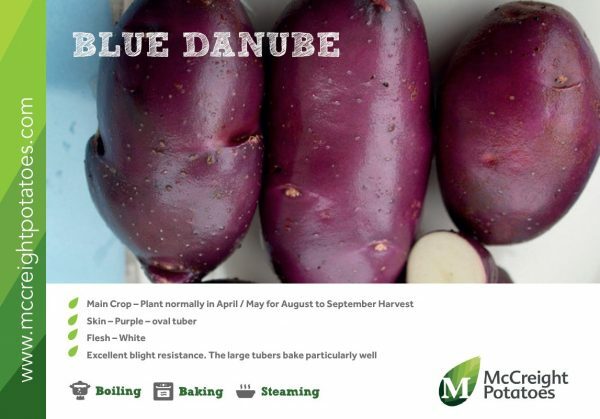 Potato ‘Blue Danube’ (previously known as ‘Adam Blue’) is the latest introduction from the Sárvári Trust, without the Sárpo prefix. 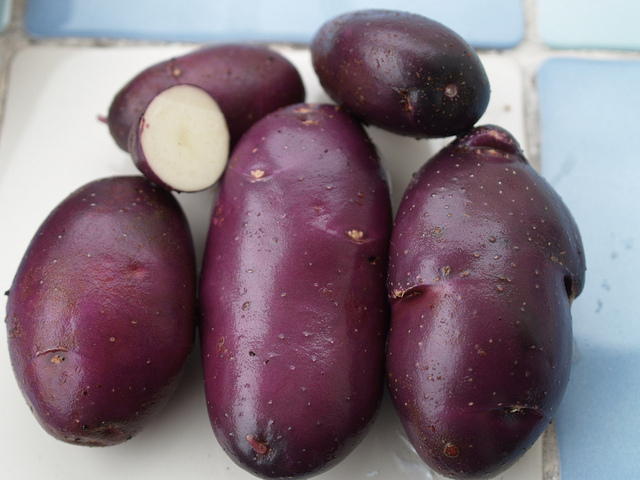 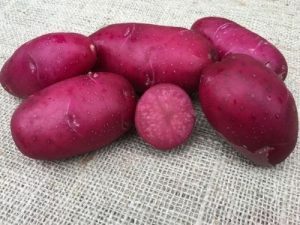 The beautiful blue-purple skinned oval tubers have bright white flesh of good flavour, that are excellent for general culinary purpose – larger tubers bake particularly well. 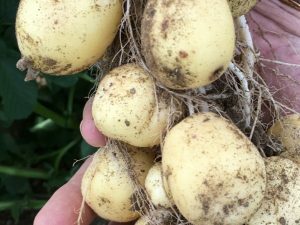 This early maincrop shows moderate foliage blight resistance and excellent tuber blight resistance.